Bridge cameras can feel like the perfect solution to all your picture-picture-taking needs. They have all the controls and features of proper DSLRs and mirrorless cameras, yet come with fixed ultra-ultra-zoom lenses you just can’t get anywhere else. Bridge cameras are pretty big, mind, so if you're looking for similar versatility but in a much smaller package, check out our guide to the best travel camera. UPDATE: After a couple of years in the doldrums, bridge cameras have taken off again, thanks to Sony, Panasonic and the absolutely insane 125x zoom Nikon Coolpix P1000! We compare all the latest cameras and prices to work out which are the best bridge camera buys right now. What is a bridge camera? The first and most important thing to be aware of with bridge cameras is their sensor size. Camera makers can only make zoom lenses with these colossal ranges by using a smaller sensor. Until recently, almost all bridge cameras used small 1/2.3-inch sensors of the type you get in regular point and shoot cameras and some smartphones. You get a huge zoom range at an affordable price, but the image quality is limited. And then Sony, Panasonic and Canon brought out more advanced bridge cameras with much larger 1-inch sensors. These sensors are not as large as those in DSLR and mirrorless cameras, but they’re not a million miles off and the quality is much better than regular bridge cameras. But the bigger sensors mean smaller zoom ranges and higher price tags, which has split the bridge camera market into two halves. The more expensive 1-inch models at the top of our list have a smaller zoom range, but we reckon it’s worth it for the extra image quality. The cheaper 1/2.3-inch models in the bottom half of our list have spectacular zoom ranges but only average picture quality. And do keep in mind that versatile as they are, bridge cameras can’t do everything. For ultra-wideangle shots, 1:1 macros, tilt-shift lenses and extra-fast apertures, you need an interchangeable lens DSLR or mirrorless camera. But if a bridge camera is definitely what you need, keep reading. Start from the top of our list if you only want the best, and work your way down if your budget is a bit tighter. We do score extra for value for money! The RX10 IV is the latest incarnation of Sony’s RX10 bridge camera series and takes a useful step forward from the RX10 III. The main highlight is the inclusion of a 315-point phase-detect AF system, which makes it far better suited to tracking moving subjects, while the introduction of a touchscreen, a feature that's been oddly absent from the RX10 line-up – and indeed, many of Sony's others lines until recently – is also noteworthy. 24fps burst shooting, which is a significant improvement over the already-capable 14fps on the Mark III, together with Bluetooth connectivity, distances it further from the camera it updates. Because of all this it's a much more capable camera for sports and action and the best bridge camera you can buy right now – but this comes with a significant premium over both the Mark III and rival cameras. Sony has now released four RX10 models and has a policy of keeping older models on sale, so while the RX10 Mark III is not the newest, it still gets second place in our list. 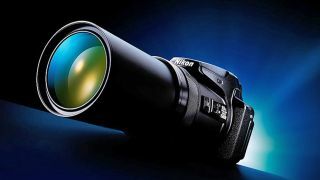 It introduced an impressive 600mm maximum zoom setting, and a very respectable f/2.4-4 maximum aperture range. While it isn't a replacement for the Mark II model (still on sale), it boasts a slightly better battery life and a nine-bladed diaphragm in comparison to the Mark II's seven-bladed alternative, although it does miss out on the ND filter that made an appearance in both previous models. The camera is also occasionally subject to the odd cashback deal, so make sure to look out for these as they can make quite a difference, and if you don’t need the RX10 IV’s high-speed AF and shooting, this model can save you a lot of cash. The FZ1000 is four years old now, so it's reasonable to assume that many may have overlooked it in favour of the slew of models that have emerged since its release. Look closer, however, and you'll see that you're still getting a hell of a lot of current tech for the money. The 20.1MP 1in sensor and 25-400mm (equiv.) f/2.8-4 Leica-branded lens come together to form a capable core, with 4K UHD video, 5-axis Power O.I.S. stabilization, a 2.36million-dot OLED EVF, Wi-Fi and NFC, and raft of video-specific additions such as zebra patterning on top of it. As if that wasn't enough, occasional cashback deals make it even better value for money – definitely one to snap up if you don't need the fancy tricks of the more recent FZ2000 / FZ2500. Panasonic already won many people over with the FZ1000, with its 1in sensor, 25-400mm (equiv.) f/2.8-4 zoom lens, 4K video and masses of control making it a fine DSLR alternative. The FZ2000 delivers plenty more, including a slightly longer lens, touch-screen control and an electronic viewfinder with a slightly higher magnification than before, but its in video where Panasonic has made the most significant improvements. So, here we get DCI 4K video and a variable ND filter, for example, although the latter can, of course, be used for stills too. The lack of weather-sealing is a pity, but its falling price, together with the occasional cashback deal, makes it a brilliant-value competitor to models in Sony's RX10 series. If you need something more for stills than video, however, you may find the older FZ1000 (below) makes more sense – particularly when you see just what you get for the money. From its junior models right through to its various flagships, Panasonic has always been generous with features. This has allowed its models to remain appealing in the face of newer competitors, and 2015's FZ330 exemplifies this perfectly: a sub-£500/$500 camera with 4K video recording, a splash-resistant body and a 25-600mm (equiv) lens with a constant f/2.8 aperture. You simply don't get that anywhere else right now! On top of that there's a tilting touchscreen, a 1.44million-dot EVF, Wi-Fi and image stabilisation, which round off the specs to deliver a mighty fine proposition for the advanced novice or enthusiast on a budget. With its 24-2000mm (equiv) zoom lens, the Coolpix P900 is certainly an ambitious camera. With this kind of focal length you zoom so much further than with the average DSLR/lens kit, which explains why it's been such a smash among amateur astrophotographers. Thankfully, the lens is equipped with Nikon's five-stop Vibration Reduction system and you get plenty of manual control over exposure settings too, in addition to Wi-Fi, NFC and even a GPS system. Naturally, it won't be for everyone; there's no raw shooting, the screen doesn't respond to touch and, perhaps more concerningly, the sensor is far smaller than those in premium bridge cameras. Nevertheless, it makes the cut because it offers something genuinely unique at this level – and for some, it may well be just what they want. You thought the P900 (above) was amazing? Then get this! With its 24-2000mm (equiv) zoom lens, the Coolpix P900 made headlines, but the new P1000 walks all over it with an astonishing 125x zoom range, offering the equivalent of a 3,000mm telephoto lens at full stretch. It is a stretch, though, because at this setting the lens's maximum aperture loses a full three stops from its f/2.8 maximum to a pretty miserable f/8. You'll be glad of Nikon's in-built VR (Vibration Reduction) system to cut camera shake, though it can't fix the general lens softness that creeps in at longer focal lengths. It does improve on the P900 in some key areas, offering raw format shooting, a higher-resolution electronic viewfinder and 4K video. However, its asking prices is almost as astronomical as its zoom capabilities – it's a lot to pay for a bridge camera with a small 1/2.3-inch sensor. But if you want the longest zoom range the camera world has ever seen, you can't expect it to be cheap. After the excesses of the Nikon P900 and P1000, the Panasonic FZ82 looks pretty tame. By comparison, its 60x optical zoom range is somewhat ordinary, its maximum aperture range of f/2.8-5.9 is uninspiring and it uses a small 1/2.3-inch sensor, which caps the image quality you can expect. But three things raise the FZ82 above the ordinary. First, the price: this camera easily undercuts all its rivals in this list while giving them a real run for their money in features. Second, it shoots 4K video and has Panasonic's neat 4K Photo modes for high-speed image capture. Third, its 60x zoom offers a wider 20mm equivalent wideangle setting than any of its rivals, so it's a good deal handier for shooting in tight spaces – a great advantage in travel photography. On paper, the SX70 HS looks a close rival to the Panasonic FZ82 (above), offering a slightly longer maximum zoom and nearly matching the Panasonic's wideangle setting. But its f/3.4-6.5 maximum aperture range is on the low side and its 20-megapixel resolution can't overcome the limitations of the small 1/2.3-inch sensor size. The SX70 does handle well and it's not that big for a bridge camera, but the opposition has moved on, with bigger zoom ranges, bigger sensors or lower price points. The SX70 HS offers solid enough specifications but at a price point which makes its rivals look more tempting. So what's a bridge camera with a 1-inch sensor and a 25x zoom range doing at the bottom of our list of top bridge cameras? The G3 X is indeed a very versatile camera with a good zoom range and capable of very good image quality, but it has no in-built electronic viewfinder – this is an optional extra. The rear screen has a titling mechanism but is not full articulating, and the G3 X first appeared in 2015, so it's no great surprise it does not have 4K video, and the burst shooting speed drops to just 3.2fps with continuous autofocus. The G3 X can produce first rate results, but it's disappointing it's maintained a high price despite its badly dated specifications.